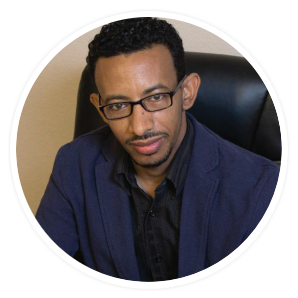 Dr. Tariku Mekonnen had his MD from Ethiopia and currently he is a fellow in Integrative Medicine working for his board certification in ABOIM. Over the years Dr. Tariku worked with several renowned scientists in the field of infectious disease, trained and mentored more than 20, 000 health care providers in different countries. Over the past 14 years Dr. Tariku has worked and practiced in areas of HIV Medicine and Infectious disease working for different organizations including the World Health Organization ( WHO ), University of Washington, PATH and Healthnet TPO, many others. Dr. Tariku has also worked for several organizations and hospitals in the US holding different leadership roles. He worked as a Clinical Documentation Specialist, Senior Clinical analyst, Chief Medical Information Officer, Medical Director and currently serving as a Founder and CEO of T-Medicus. He founded T-Medicus in 2016 with a vision of creating a reputable organization that assist hospitals and health systems addressing several clinical documentation and quality issues. Dr. Tariku is highly involved in different community activities serving as a medical advisory board member and board of Directors for friends of Parkinson’s; an organization that supports thousands of individuals and families affected by Parkinson and other neurodegenerative diseases. Dr. Tariku also serves as a leader of the Society of Physicians Entrepreneurs Las Vegas Chapter. SoPE is Physician led society with close to 30,000 members throughout the globe and Dr. Tariku is leading one the USA Chapters. He established the chapter in 2017 and currently expanding the chapter through membership involving Universities, hospitals and several healthcare institutions.